A well-directed construction project can help the project team become more organized. 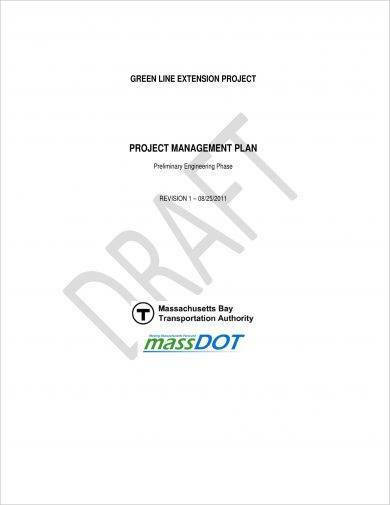 The usage of this document can also make the construction schedule and construction processes that are needed to be implemented be more realistic and effective. However, formulating a construction project plan is not an easy task. It needs to undergo several processes and it also needs to consider a variety of quality standards and other measures to ensure that call-to-actions and strategies fit the requirements of the particular construction project. Having a detailed construction project plan that is applicable and relevant to be used by the project team for its current undertaking can make the development of the construction project more efficient. We have put together different kinds of construction project plan examples that you can browse through and download if you need references when making the specified document. Construction project management is an important process that is always needed to be present in every construction undertaking. It is essential for a document that can guide not only the team but the entire construction operations and activities to be developed. There are several items that you need to give focus on and always remember within the processes of making a construction project plan. 1. Ensure that you are knowledgeable of the philosophy, essence, and basic guidelines of construction project plan development. You have to be aware of the regulations within the industry as well as the demands and requests of clients so you can make particular project plans as relevant and highly usable as possible. Knowing how to properly format the document’s content can help you become more organized when putting together all the details of the construction project plan. 2. It is important for you to set the objectives of the construction project. You have to know the goals that you would like to achieve so that you can come up with action plans that can make it closer and easier for you to get what you want. Make sure that your objectives are realistic and can be attained by the construction team and all the entities within the project development processes. You can create a construction checklist that can also have the specification of all the goals that are necessary to be attained at the end of the project. 3. Differentiate a construction project plan with a construction schedule plan. In terms of scope of usage, a construction project plan is wider as it covers the entire operations and management of the construction project—time frames and deadlines included. 4. The completion of all the details of the construction project plan is critical. You have to present all the details that are needed to be known by the clients, the project team, and all the other project stakeholders. From the construction project budget allocation up to its performance and workforce requirements, you have to ensure that your discussion are detailed, specific, and understandable. You may also see weekly plan examples. Creating a SMART action plan and strategic management plan for your construction project can help you attain your desired goals. With the help of a construction project plan, you can make sure that proper metrics and measures of action plans will guide the construction project team during all the procedures of construction. You have to make sure that the details of the construction project plan are complete so that you can make the most out of the plan’s actual usage. 1. Present the expected returns and results of the project to its stakeholders including the construction team, the clients, and other entities who are involved in the project execution and management processes. It is essential for the professional goals, objectives and vision of the construction project to be concise and clear. 2. Discuss all the permits and other legal requirements that the construction management needs to get and acquire to ensure its smooth operations. Particular construction documents, simple agreements, and contracts must also be reviewed and listed in the construction project plan. 3. Develop the construction project design which includes your tactics for continuous and sustainable project development. You also have to create a blueprint that can guide the project team in making the construction objectives materialize. You may also see work plan examples. 4. Lay out all the action plans that you would like to implement. This discussion should include the step-by-step processes that can showcase the development of the project in every phase. 5. Come up with the number of workforce that is necessary to be hired for the construction project. You have to ensure that the project team will be complete so that all activities and action plans can be implemented properly. 6. Present the financial aspect of the construction project. It is important for you to break down construction costs and give an idea about the suppliers that you will be working with for the project to get all its required raw materials, equipment, items, and tools. You may also like daily plan examples. 7. Give the starting date and expected end date of the construction project. You have to develop a timeline that consists of all the time frames and duration where the project team will execute their activities and responsibilities. The timeliness of construction work processes is essential as it can reflect the effectiveness, productivity, and efficiency of the construction team. You may also check out risk plan examples. The above mentioned details are only some of the basic information that can be seen in a simple construction project plan. Since a construction project plan document can be used in different kinds of construction projects, we highly recommend you to identify all the details that the clients and other stakeholders of your construction project would like to know about the transaction that they will be immersed in. 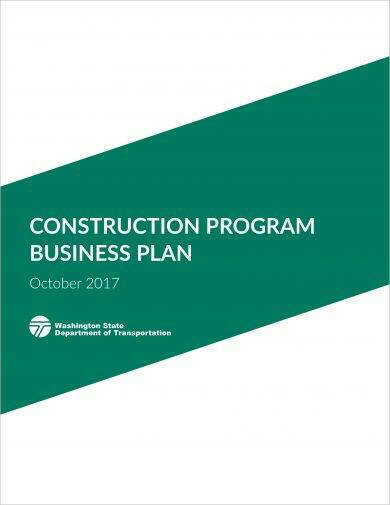 You might be interested in transition plan examples. Depend and base the content of your own construction project plan on the scope and range of your construction project’s operations and the kind of management technique that is expected to be executed within the processes of construction development. You may also check out quality plan examples. Feel free to add, remove, and do different tweaks in the list above until the content of the document is already fit with the demands of the construction project that you are dealing with. Without a construction project plan, the project team and other entities involved in the construction project will be clueless of their responsibilities, what to expect from the project, when to incorporate their deliverable, and how to ensure that strategies and tactics are developed in a way that it will fit the needs of the construction project at hand. Hence, it is really important for a construction project plan to be developed. You may also see sales plan examples. Listed below are some of the advantages of creating and implementing a construction project plan. 1. A construction project plan can promote process organization, construction team collaboration, and open line communication implementation. 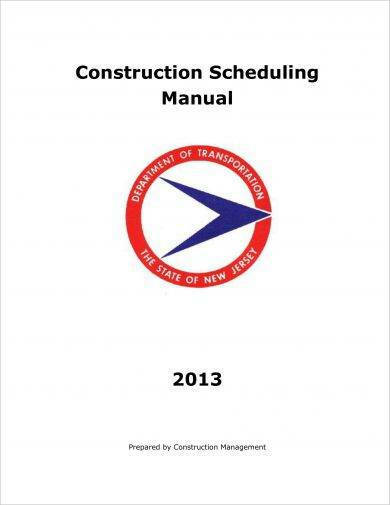 If you have this document on hand, you can designate all processes in their proper places. This can give you a higher possibility of smoothly maintaining the entire construction project undertaking. You may also like annual plan examples. 2. 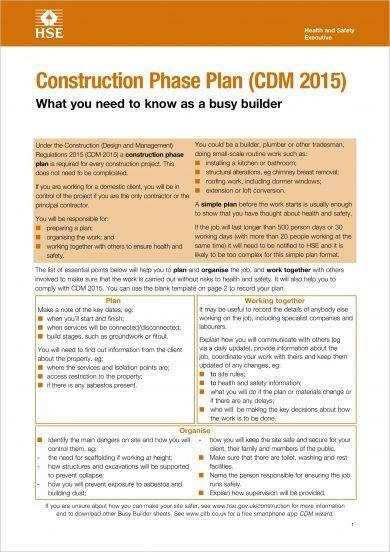 A construction project plan is a construction project tool that will help you address all issues and concerns, may it be about the construction management or other areas that are needed to be given focus with. A construction project plan can give the clients and other entities an idea about the roadblocks that can stop or hinder the project team to execute their best efforts to complete the project as desired. You may also check out job plan examples. 3. A construction project plan can give clarity to the direction that the entire team should focus on. If there is a construction project plan at hand, the team can exert its efforts and energy in accomplishing tasks especially those that are time-sensitive. Hence, they can properly address the concerns associated with the usage of the construction project timeline. You might be interested in action plan examples. 4. A construction project plan can serve as a reference every time there is a need to clarify information or if there is an essential item that must be changed based on the development of the construction project. This will allow the construction team to be more adaptive and resilient which is a great way to ensure that they will remain focused when it comes to achieving the end goal of the construction project even if there are different changes that might occur. You may also see personal plan examples. 5. A construction project plan can give you an idea about the coverage of the construction project transaction. 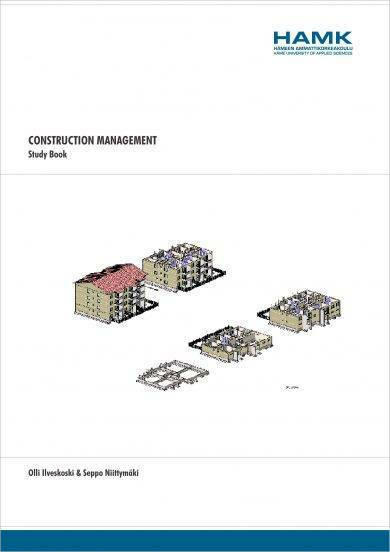 This can discuss different areas of the construction planning and management. As an example, a construction project plan can present the usage of a construction loan agreement if there is a need for financial support to achieve desired results. 1. Coordination is one of your keys to success. It is important for your construction project plan to present an organizational structure that can provide a representation of the decision-making and communication flow in the workplace. Aside from ensuring that an open line communication is present, a construction project plan can also make sure that there is a reference for accountability showcasing. You may also see business plan examples. 2. You have to look into the proper and maximum usage of your resources. For you to be truly efficient within the processes of construction project management and development, you have to ensure that all the construction materials, equipment, and labor requirements are used accordingly. Think of ways on how you can interlink these resources cohesively so that you can make the most out of their presence in all areas of the construction project. Hence, your construction project plan must be able to provide the workforce with strategies that can resolve certain issues and concerns about the specified matter. You may also like assessment plan examples. 3. Do not just rely on the raw information that you have gathered, assessed, and developed. 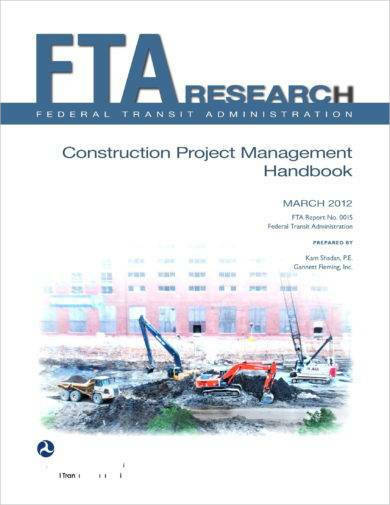 When putting together the content of the construction project plan, you have to consider the format that you will use. 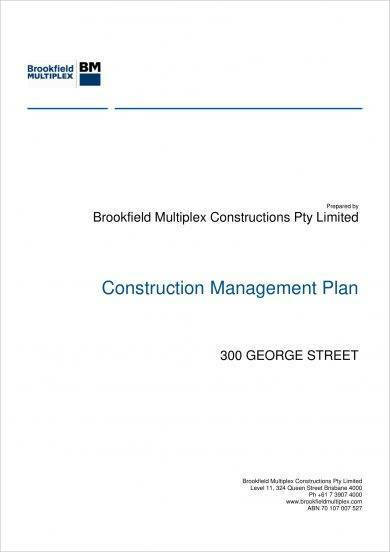 The layout of the document can affect the perception and impression of your target audience, which is why you need to make the construction project plan as presentable as possible. You may also check out financial plan examples. Just like any other kind of project action plan, it will be best if you will use a downloadable example as your reference if you want to create a construction project plan. 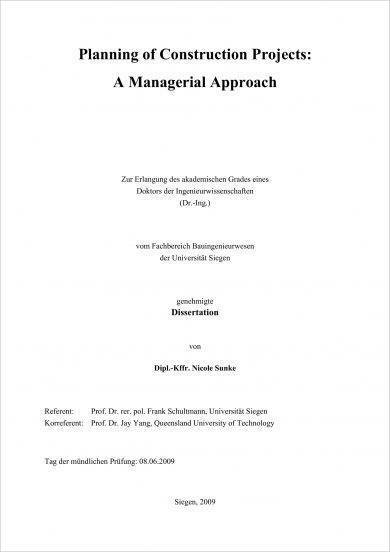 Aside from ensuring that you can give focus on how the entire document looks like, referring to examples can also help you become more observant about the completion of your discussion details. The more comprehensive, specific, and detailed your construction project plan is, the more effective and relevant it will be. 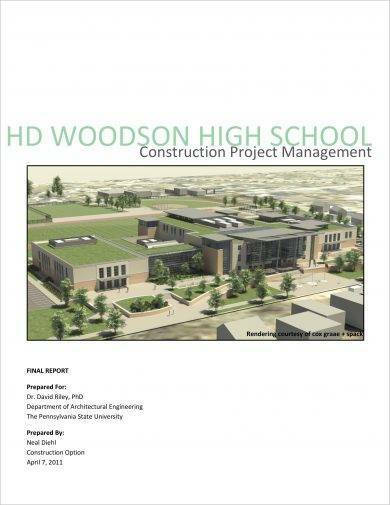 Select any of our construction project plan examples and draft the initial planning document for your construction project.